Car accidents involving motorcycles typically result in much more serious injuries due to the inherent lack of protection offered by motorcycles as opposed to other motor vehicles. The injuries caused by motorcycle accidents can range from soft tissue injuries, bruises and road rash to compound fractures, injuries of the spinal cord and column as well as traumatic brain injuries. Unfortunately, sometimes motorcycle riders are unfairly stereotyped as reckless stuntmen who endanger the lives of other users of the road. However, there is a trend where it is usually other drivers who are deemed at fault in the majority of accidents involving a motorcycle. Injured motorcycle riders will usually require extensive medical treatment and therapy that can last for many months. In some cases, these accidents cause long-term and sometimes permanent impairments which may require the injury victim and their family to make drastic changes in their lives such as modifications to their home. The costs of medical treatment, home modifications, lost wages and other expenses can become an unmanageable burden for the injured rider and their family. 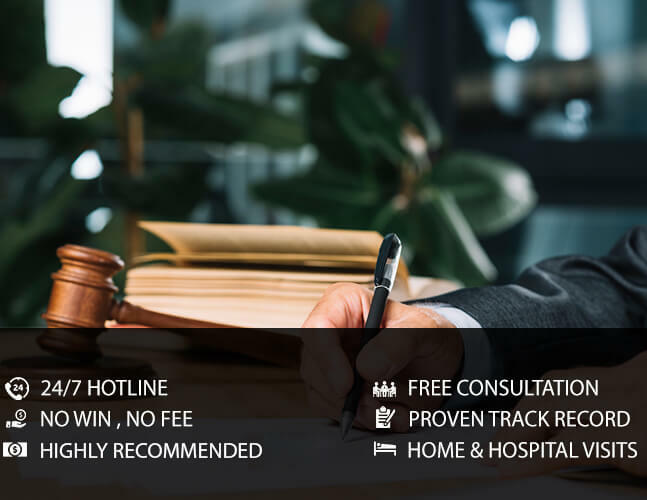 Our expert legal team has fought for the rights of injured motorcycle riders from all over Ontario and have successfully recovered millions of dollars in compensation for victims and their families. If you or someone you know became the victim of a motorcycle accident, contact EBIL Personal Injury Lawyer as soon as possible for a free consultation and we will ensure that you know what your rights and entitlements are, what we can do for you as a firm as well as provide you with valuable information and advice. Call us today and protect your rights.